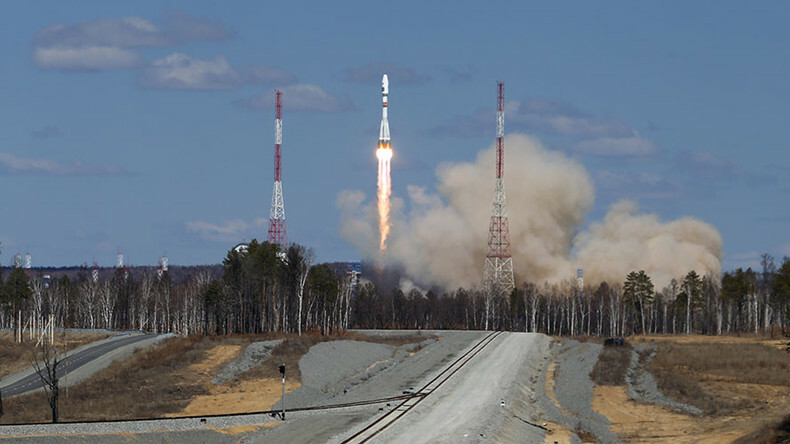 Russia’s new Vostochny Cosmodrome has conducted its first space launch on Thursday. A Soyuz rocket boosted three scientific and distance viewing satellites into orbit. The lift-off took place at 5:01am Moscow time (2:01am GMT) and some 8 minutes 44 seconds into the flight the Volga upper stage carrying three satellites successfully separated from the Soyuz rocket. All three satellites launched on the Soyuz rocket have been successfully deployed to their specified orbits. Experimental nanosatellite SamSat-218 disconnected from the Volga payload assist module at 07:07am Msocow time (04:07 GMT). Ten seconds later two main payload satellites, Lomonosov and Aist-l, also reached their destinations. The Volga payload assist module was deorbited at 11:54 MOW (8:54 GMT) and the remains that didn’t burn up during re-entry into the atmosphere sank in an unnavigable zone of the Pacific Ocean, says the Defense Ministry’s Aerospace troops’ press service. It took a single firing from the thruster to effect the deorbiting. The launch on Thursday was observed by Russian President Vladimir Putin, who decided to stay for an extra day to personally take part in the event.